In the shallows of the internet Paula is pushed to a moment of profound realisation: she, too, is but a lonely Asian woman looking for fun. Lonely Asian Woman is a wildly sentimental book about a life populated by doubles and transient friends, whirrs of off-kilter bathroom fans ... read full description below. "The novel is set in contemporary Wellington and follows Paula, a lazy young woman who is stuck in a rut. Deep in stagnation, the sight of a spam ad for lonely Asian women looking for fun becomes a moment of profound realisation that she, too, is but a lonely Asian woman looking for fun. Paula's new outlook leads her to shoplift a cheesecake-laden supermarket trolley. The trolley contains an unexpected attachment. 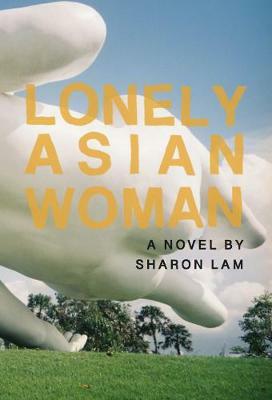 Lonely Asian Woman is not the story of a young woman coming to her responsibilities in the world. Instead, Lam defies the expected and leads the reader and her characters against the grain of the titular lonely Asian woman"--Publisher's website.